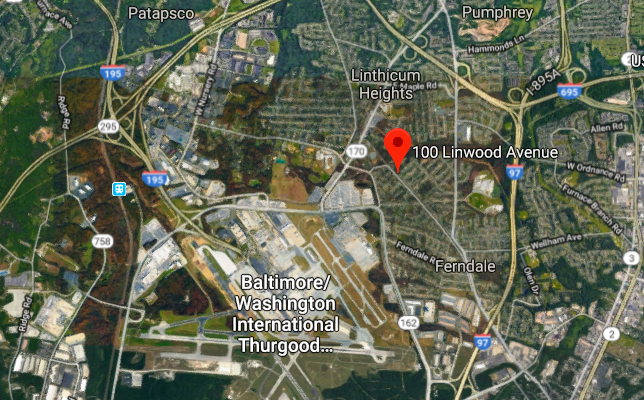 Anne Arundel County Police shot and killed an armed Glen Burnie resident who resisted their attempts to execute an extreme risk protection order and confiscate his weapons. At 5:17 a.m. on Monday morning, two police officers in Anne Arundel County knocked on 60-year-old Gary Willis's door to serve him with an extreme risk prevention order and temporarily confiscate his guns. Unsure who was at the door, Willis answered with a gun in his hand. Seeing that it was the police, he sat the gun aside and proceeded to talk to them. According to police reports, Gary Willis "became irate" upon realizing the police were there to seize his firearms. As one of the officers attempted to disarm Willis, a struggle ensued and a shot was fired. The other officer responded by firing his service weapon at Willis, killing him in his own home. Willis lived with other family members in the home. His niece, Michele Willis, told reporters immediately after the shooting that she was "just dumbfounded right now. My uncle wouldn't hurt anybody." Anne Arundel County Police have not released the details behind the extreme risk protection order, though Michele has said that one of her aunts requested the protection order to remove Willis's guns from the home. On October 1, 2018, Maryland became the thirteenth state to implement what is known as "extreme risk protective order." The law, sometimes colloquially known as a "red flag" provision, allows family members, friends, and neighbors to turn a gun owner in to police if they fear the individual poses a danger to themselves or others. If the recommendation is deemed credible, police officers serve the gun owner with the protection order and temporarily confiscate his or her weapons, pending the outcome of a hearing. The suspect is then afforded a court hearing to convince a judge that he or she poses no threat and deserves the right to keep an bear arms. If the judge disagrees, they can extend the temporary confiscation order. In just over a month, police departments in Maryland have executed at least 114 extreme risk protection orders against gun owners deemed dangerous to themselves or others. Anne Arundel County Police have used the new law 19 times so far, tying Harford County for the most in the state. Monday's incident in Glen Burnie was the first on record resulting in a fatality. Neither of the officers on the scene were wounded. Here's how you can volunteer to lay wreaths at cemeteries over the holiday season.